The death of 44 desperate migrants and refugees in the Sahara Desert last week has come as shock to UNHCR, the UN Refugee Agency. 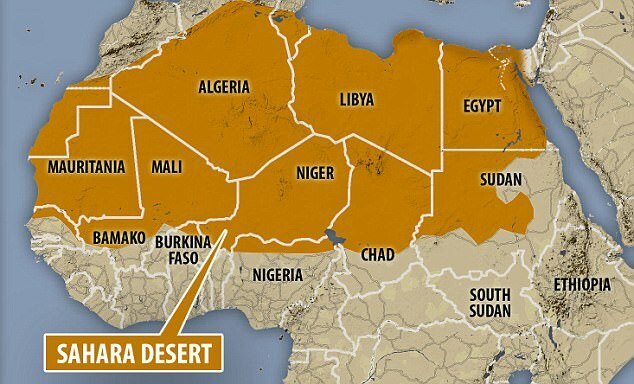 Accounts by six survivors suggest a group of 50 people was on their way to Libya when their truck broke down between the cities of Agadez and Dirkou in the desert in northern Niger, exposing them to extreme heat and lack of drinking water. Inside Niger, UNHCR has recently opened an office in Agadez – near the transit routes, aimed at providing refugees swift access to asylum. It is also working with the International Organization for Migration (IOM) to warn people about the perils of the desert and sea journeys. Since January 2017, some 17,000 migrants and refugees have crossed into Libya from Niger. The UNHCR said it was also stepping up its presence and programmes in Libya in response to the worsening humanitarian crisis resulting from conflict, insecurity, political instability and a collapsing economy in the North African country. Many Refugees and migrants end up in detention or continuously being exploited by human traffickers. Thousands have died while trying to cross the Central Mediterranean into Italy through Libya. In order to meet the increased humanitarian and protection needs of people in Libya – including internally displaced persons (IDPs) and host communities, as well as refugees and asylum seekers, the UNHCR said it would need about $75.5 million assistance. The appeal includes protection monitoring and interventions, as well as advocacy on issues related to respect for human rights, access to basic services, asylum procedures and freedom of movement. Additional resources are also required in Niger, Burkina Faso, Mali and Chad to help prevent and respond to risks associated with such deadly journeys. “With this latest tragedy in the Sahara Desert, we once again repeat our call for credible alternatives to these dangerous crossings for people in need of international protection, including accessible and safe ways to reach Europe – such as family reunification, resettlement and private sponsorship. UNHCR also continues its efforts to expand resettlement opportunities for refugees to save lives,” the agency said in the statement.